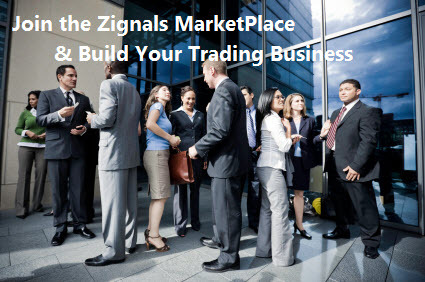 We will soon be launching dynamic HTML landing pages which will allow individual users, bloggers, financial gurus, financial newsletter publishers, traders and anyone with an interest in stocks or financial markets to market their trading ideas and trading strategies created on Zignals. View more presentations from fallond. Feel free to contact me at declan-at-zignals.com it you have questions or would like further information on how we can work for you.